We live in a society that rewards good looks. There are people that have very successful careers based on nothing else but their appearance (like the Kim Kardashian). Because of this, many professional women have begun to turn to plastic surgery to fix many of the things that they feel is wrong with them, in hopes of giving them more confidence and become the best aesthetic version of themselves that they can. I wanted to discover the real reasons why people, usually women tend to get plastic surgery and educate some of the readers here who are perhaps thinking of having some sort of plastic surgery done. To get some perspective on why people get plastic surgery, I reached out to a plastic surgeon to get some more information about all this. I found Dr. Richard Dwarf, who specializes in rhinoplasty in Tennessee with the main focus being in rhinoplasty in Nashville. I asked him what the main reason is that most of his patients decide to have plastic surgery. He said there are many different reasons that people decide to get it done, but for the most part, people come to him because they have some overwhelming insecurities about their appearance that they wish to change, because they want to look better of course. Dr. Dwarf said they do a lot of consultations with their patients before allowing them to go under the knife because they want the best for their patients in the long term and not regret a procedure after the fact. He also said the most common procedure that he sees is the one he’s known for the most, which is a nose job, or otherwise known as rhinoplasty. Dr. Dwarf said it’s common because the nose is the centerpiece of the face and most people, if asked, would change something about their nose if given the chance. Also, rhinoplasty is one of the most cost effective procedures that one can undertake. This is also the surgery that most women tend to gravitate towards and of course celebrities as well. Even someone as naturally beautiful as Megan Fox has had a nose job. I asked the doctor about some of the things that people should consider before actually going through with a plastic surgery operation. He said that someone needs to first weigh the risks compared to the benefits of going through a procedure and to understand that you get what you pay for. Choosing a surgeon because of a “good deal” can lead to regret and shotty surgical work. Most who go cheap usually will elect to have the surgery redone later on by a reputable doctor, which will cost more money and anguish than needed. Also, he said people who are potentially seeking to get plastic surgery should not be looking at plastic surgery for something that is going to make their lives feel complete. Dr. Dwarf said he has had patients who have had this mindset and were initially happy with the results, only to be just as unhappy as they were before as time passed. Then they want additional surgeries. The hard part he added is these usually tend to be women who are already extremely good looking but they are seeking some sort of perfection. The good doctor also said that people who are potentially interested in getting rhinoplasty or any other type of plastic surgery should be aware of the recovery time of their specific procedure. Depending on the procedure that you are thinking of undergoing, the recovery time can be anywhere from 4 weeks to even a couple of months, all something that you should consider greatly before going through with it. 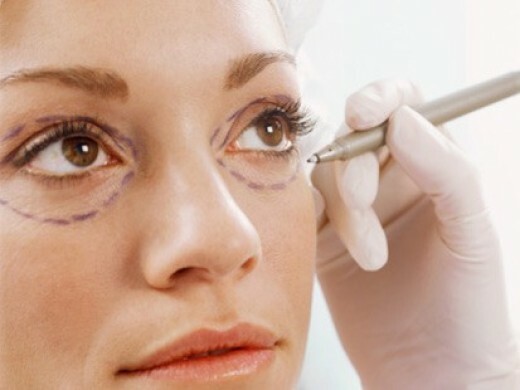 Plastic surgery has definitely become more common, especially among those that are interested in fashion and looking their best, but if you are someone that is thinking about getting plastic surgery done it’s important that you weigh all your options. Find a good doctor that has many references you can ask about. Don’t just go with the cheapest option. You only get one face and body, so you don’t want to cheap out on it if you’re going to go through all the work of having a procedure done.